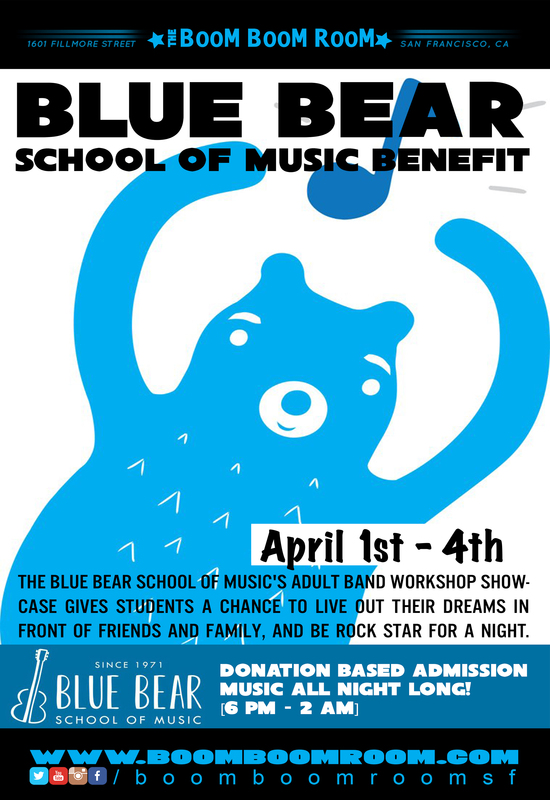 The Blue Bear School of Music's adult band workshop showcase gives students a chance to live out their dreams in front of friends and family, and be rock star for a night. Lead by Blue Bear's talented teachers, the bands go through their favorite songs (and yours), in a fun-filled night of celebrating music. Blue Bear School of Music is a local non profit music school that's been serving Bay Area students of all ages, levels, and styles, since 1971, making Blue Bear the original school of Rock n Roll. They will be accepting donation at the door! Come on by and support this program!